Don’t let the name fool you – Jazz Cafe is anything but a quaint, back alley club. Instead it plays host to hundreds of North Londoners on weekends, playing music from Funk to Hip Hop. Hire one of our party dresses online like our Jovani Blue Sequin Dress or our Opulence England Contrast Skirt Dress. Situated in Westminster, Cinnamon Kitchen has been delivering great Indian food to City folk for years. The imaginative menu will provide you with a rollercoaster of spices and delights. We’ve got lots of dresses to hire in London that will make your experience at Cinnamon Kitchen even better. 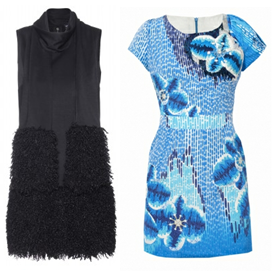 Try our Dolce and Gabbana Mini Dress with Trim or our Mia Jafari Watercolour Explode. Les Mis is one of the most successful and legendary shows in London, having been running for 25 years, and continues to be so today. This is a night not to be forgotten so hire an evening party dress with GMD. 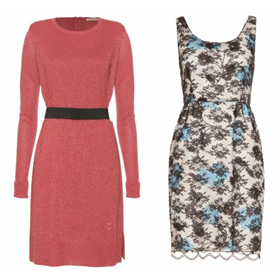 Rent our Anna Sui Floral Lace Dress or our Schumacher Love Lame Dress. Posted August 8th, 2013 in Uncategorized. Tagged: Anna Sui, cheap prom dresses, Dolce and Gabbana, dress hire london, dresses to hire london, evening party dresses, jovani, london dresses, mia jafari, opulence england, party dress london, party dresses, party dresses london, party dresses online, prom dresses under 100, schumacher, Short Prom Dresses.